Are you thinking of buying a new home? Before you make a hefty investment for a lavish house, you need to consider the different kinds of threats it can be exposed to. However, this protection scheme cannot be the same for everyone. It is essential that you design a protection for your own priorities and problems. When it comes to your house, everyone usually fears any damage to the building or construction because it can incur a huge cost on repair and restoration, especially after flood damage or a fire accident. However, what is also important is the belongings inside. You need to opt for property insurance not just to protect your home exterior but also the contents of the house. We, at Arnoldussen & Associates, can be the right choice for you. We are a renowned and reputable organization offering useful insurance solutions for your home, business, or automobiles, and even your life and health. If you need to insure any of your properties, right from your home to the other assets you own like the furniture, priceless possessions, or even automobiles, you must invest in our policies. So, if you are from areas such as Arroyo Grande, Grover Beach, Nipomo, Oceano CA, Pismo Beach, or San Luis Obispo, then you must choose us. Here, we have a few ways in which property insurance benefits you. Take a look. Natural calamities like earthquakes, floods, or fire accidents can disrupt your property beyond repair, be it your home, office, or automobile. Your expensive furniture, electronics, priceless artwork, jewelry, or other essentials can get ruined in this kind of tragedies. Your expensive jewelry, cash, electronic gadgets, or cars and motorcycles could also be stolen or taken forcibly from you by unwanted intruders who break into your house suddenly. In such situations, you have to bear the loss of these expensive items or assets if you don’t have the right coverage. So, if you want to opt for this kind of property insurance coverage, quickly contact us today. Arnoldussen & Associates is a recommended agent for property insurance in Arroyo Grande, Grover Beach, Nipomo, Oceano CA, Pismo Beach and San Luis Obispo. They are independent agents and they deal with multiple carriers such as Mercury, Safeco, Progressive, Viking, Commerce West and McGraw. That means they can offer you best value property insurance by shopping around and comparing deals. They also understand insurance and all the nuances and complexities, and they will ensure that you are adequately covered for your real risks. Property insurance is a broad term for insurance policies that cover your assets. Property insurance will reimburse you for losses resulting from stated or covered events such as fire and theft. Property insurance can include home insurance, renter’s insurance, flood insurance, earthquake insurance, content insurance and liability insurance. Home insurance covers your buildings and structures against named risks. It is important to be aware of specific exclusions. For example, standard home insurance won’t cover you for flood damage or earthquake damage. For that you will need supplemental insurance. Arnoldussen & Associates can help you with supplemental insurance such as flood and earthquake insurance. Since these are real risks and losses can be substantial, you need to be sure you have adequate coverage in place. Another important part of property insurance is content insurance. You want to be sure stuff inside your home is insured. High-end items such as jewelry, artwork and collections may need to be listed separately with special endorsement. Liability insurance is another important aspect of property insurance. Should somebody get inured whilst on your property, you could face substantial liability claims. 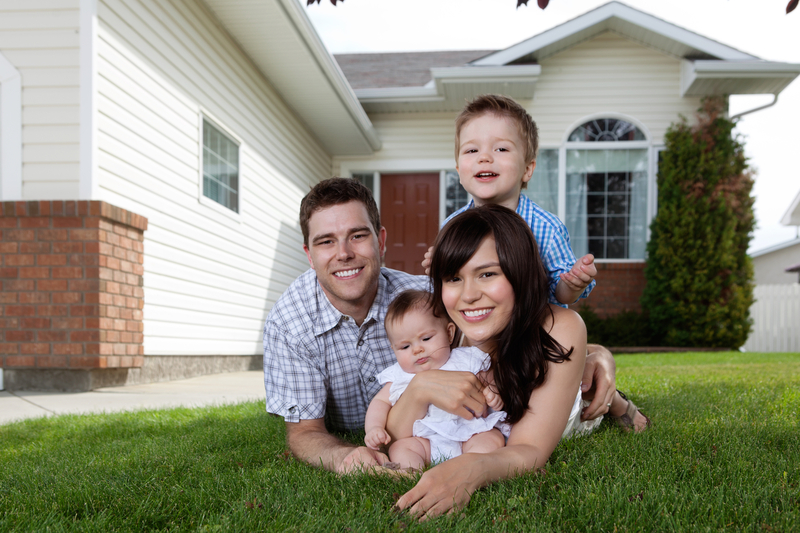 If you want property insurance that is good and proper, then Arnoldussen & Associates can help. They offer both residential and commercial property insurance to customers in Arroyo Grande, Grover Beach, Nipomo, Oceano CA, Pismo Beach and San Luis Obispo. Property Insurance Arroyo Grande: Got Property Insurance? Can you imagine the terror on those who lost their homes… and didn’t have property insurance? Just because you live in Arroyo Grande, Atascadero, Grover Beach, Nipomo, Orcutt, Paso Robles, Pismo Beach, Luis Obispo, Santa Barbara – so you’re not from Australia – that doesn’t mean that your house is safe from danger. Yes, there are cities and places where flooding or earthquakes are not a real threat. But fire? Who can give you 100% assurance that you are safe from fire? Often times a short circuit in your electrical installation can get your house on fire – no natural disaster involved. This is real-life proof that you can’t go without having property insurance… and it’s not compulsory; this thing is vital for the wellbeing of your family. What is more, another real threat that looms over your property or house is… well, theft. Did you know that in 2012 there were more than 354,000 robberies in USA? Plus, there were well over 2,100,000 burglary cases and a breathtaking 8,975,000+ property crimes. Imagine you can wipe all those fears away just by having property insurance. Imagine how well you would sleep at night knowing that your life’s savings are safe and that your house is insured. Imagine the amount of people in Australia who now regret not having made this move. They were like you – thinking that “It will never happen to me”. But neither Mother Nature, nor the burglars announce you when they come… this is why it is better to be safe than sorry. Property Insurance Arroyo Grande: Do You Have the Right Coverage? Property Insurance Arroyo Grande: You need quality coverage for your business to financially protect you against the many adversities and risks that lurk and wait. Not only do you need quality coverage, you need it at the best possible rates. As professional and accredited insurance providers, Arnoldussen & Associates delivers exactly that. Don’t risk the unexpected. We arrange the kind of coverage that will adequately protect your business and commercial interests. We don’t only mean fire and water or natural disasters. There are many other risks that are more likely to cause damage. These include day to day mishaps, lawsuits by disgruntled employees or customers, 3rd party claims and more. Property insurance San Luis Opisbo is a complex field with an array of options and variables. If you get it wrong, it can cost you your financial security. Rather let the experts arrange the coverage that you need. This way you have peace of mind knowing when things go wrong the buck does not stop with you. It stops with us. Our happy clients across San Luis Obispo, Pismo Beach, Nipomo, Grover Beach and Arroyo Grande are testimony and evidence of our dedicated service and quality insurance solutions. We can also arrange coverage for real estate and properties. Whether you own commercial property, private property, an apartment, a condo or a mansion, we have suitable property insurance plans for you. We source the best plans and negotiate the most competitive rates from leading insurance companies across the country. This way we can tailor real estate and related coverage to adequately protect your home or business premises against the various risks. Give us a call or use our easy contact form and we will get you the best insurance quotes and arrange reliable coverage that matches your needs and budget. When you deal with us you can be assured of top quality customer service, attention to detail and best value insurance solutions.